Shazam! made more money than fellow DC movie Aquaman during its preview screenings. This bodes well for the project when it finally hits theaters next week. The superhero adventure is the last from the 2014 DCEU project announcement and many feared that it wouldn't see the light of day, especially since The Flash still hasn't even started production. However, everything was good to go as soon as David F. Sandberg stepped on board in 2017. Aquaman was a juggernaut at the box office and is currently the highest grossing DC movie in their history and the 8th highest in terms of superhero movies. With that being said, Shazam! has a lot to live up to and more than likely won't be joining the $1 billion club during its theatrical run. However, the movie did just earn $3.3 million, thanks to Fandango's preview screenings. That easily tops Aquaman's Atom/Amazon preview take of $2.9 million. The early screenings were also able to beat How to Train Your Dragon 3's preview screenings, which brought in $2.6 million. This could be a good sign for the upcoming opening weekend. Shazam! is currently on track to earn around $45 million during its debut weekend at the box office. Aquaman was able to pull $67.8 million during its opening weekend, but it came with a much larger price tag. Shazam! only cost $80 million to make, which means that it will easily make its money back and hopefully a pretty hefty profit when all of the dust settles. With the preview screenings hype, the movie could end up making more money than initially thought. We'll have to wait and see, but the David F. Sandberg-directed project has also been receiving excellent early reviews. 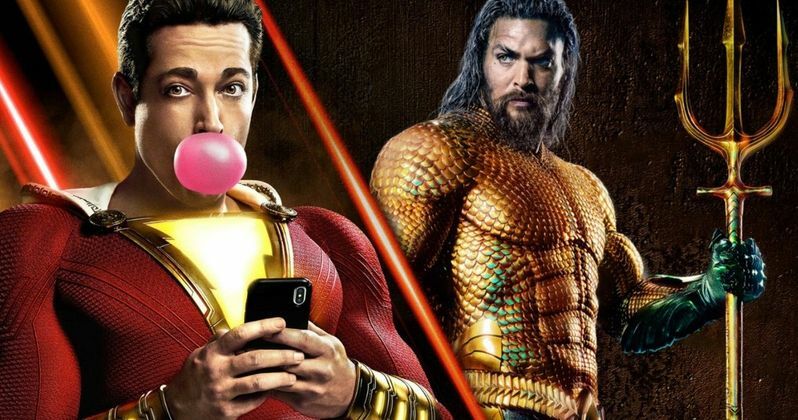 Rotten Tomatoes currently has Shazam! at a 92% Fresh Rating and fans who have already seen the movie claim that it is a lot of fun. The fun element is evident in all of the promotional material that has been released thus far and star Zachary Levi is loving every moment of it. With the doom and gloom of Avengers: Endgame on the horizon, Shazam! paints a much different picture for the current state of the superhero genre. Let's hope that the general public agrees when the movie opens in theaters. Shazam! should be able to have its opening weekend to itself. Marvel Studios' Captain Marvel is already starting to slow down as it approaches the $1 billion mark at the box office. Avengers: Endgame doesn't hit theaters until the end of April, so that should make everything free and clear for Zachary Levi and crew to dominate their first few weekends in theaters. After the positive reviews and awesome early screening earnings, it's going to be very interesting to see where the project ends up when its theatrical run is over. The Shazam! early screening box office news was first reported by Deadline.